Tennessee’s men’s basketball team is the No. 1 team in college basketball for only the second time in school history. And it wasn’t an easy journey to get here. The Vols were ranked No. 1 in February of 2008 after then-No. 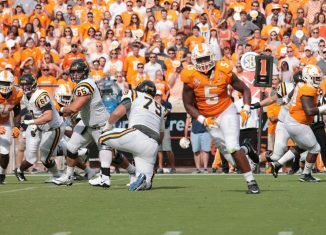 2 Tennessee knocked off No. 1 Memphis on the road, 66-62. AP voters gave Tennessee the No. 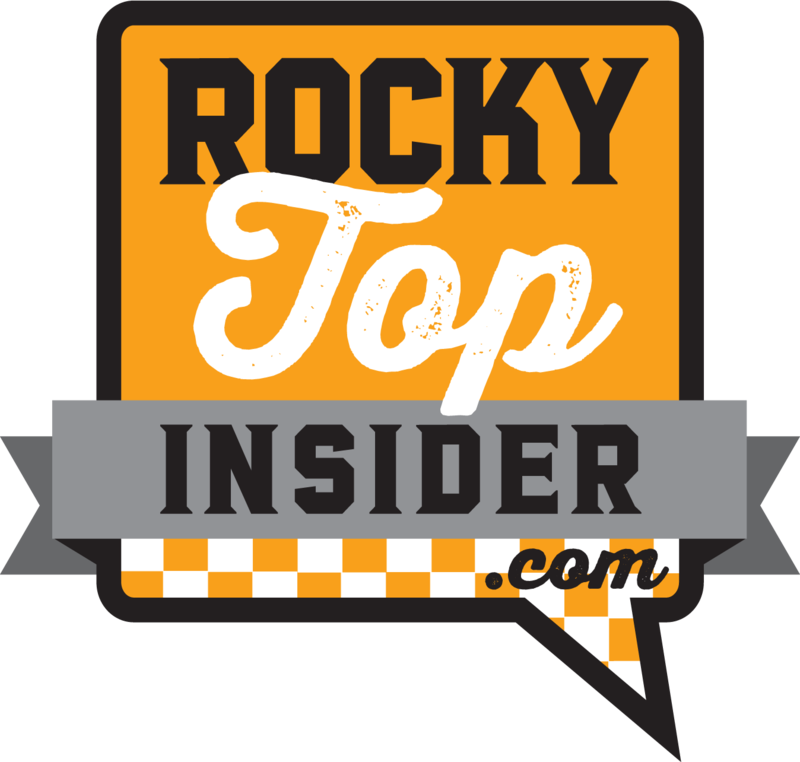 1 ranking that Monday, and it marked the first time in school history that the Vols had ever been No. 1 in the AP Poll. Of course, that No. 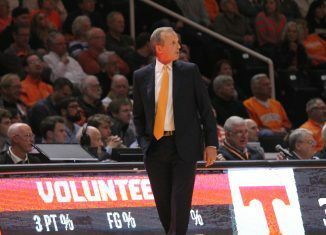 1 ranking only lasted a couple days, as the Vols would go to Nashville that Tuesday and lose by three points to No. 18 Vanderbilt. But for a brief moment, Tennessee sat atop the college basketball world. Now, the Vols are back at the No. 1 spot, and they’re looking to keep ahold of that ranking for a while longer this time. Tennessee’s journey from No. 1 in 2008 to No. 1 now is a proverbial roller coaster ride. That 2007-08 team ended up earning a No. 2 seed in the NCAA Tournament and made it to the Sweet Sixteen. Two years later, the Vols made it to the program’s first ever Elite Eight in 2010, and they finished a field goal short of advancing to the Final Four. Since then, though, Vol fans have suffered more than they’ve cheered. Following that Elite Eight appearance, the Vols have made it back to the NCAA Tournament just three times in eight years. Bruce Pearl was fired after the 2010-11 season after the NCAA ruled that Pearl had lied to them about a recruiting incident involving a now-infamous BBQ party. Pearl was given a three-year show cause from the NCAA for his transgressions. Cuonzo Martin was hired to replace Pearl, and while he had success as UT’s head coach, he was never a good fit for a fan base that craved excitement and showmanship from their head coach. This is where things really get ugly. Tennessee is just five years removed from tens of thousands of fans signing an online petition to “Bring Back Bruce” in Martin’s final season as head coach of the Vols. 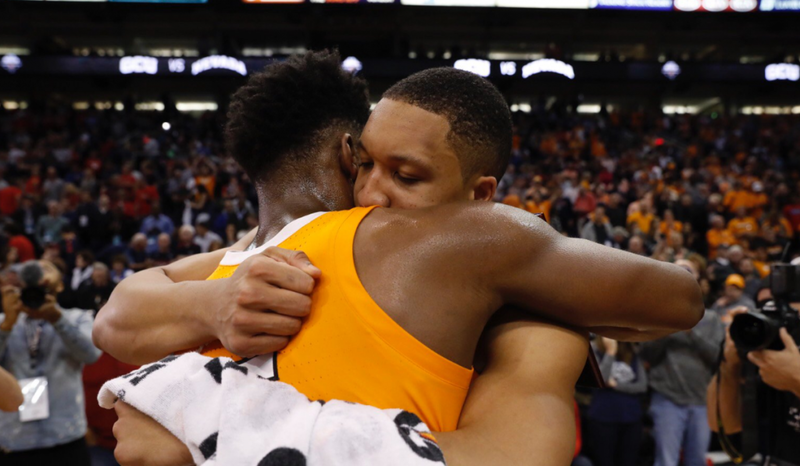 That Tennessee team underperformed for most of the regular season, but they found their extra gear in the NCAA Tournament and made it to the Sweet Sixteen before a controversial charging call on Jarnell Stokes against Michigan ended their run. But hold on, it gets worse. After Martin left Tennessee to go coach at California after that season, Athletics Director Dave Hart hired Donnie Tyndall to replace him. Tyndall had more fire than Martin and looked to be a callback to the Pearl years. Unfortunately for Tennessee, Tyndall certainly was a callback to the Pearl years. Just not in the way UT wanted. The NCAA investigated Tyndall’s time at Southern Miss as their head coach and found numerous accounts of he and his staff giving players impermissible benefits. Not even a year after he was hired as Tennessee’s head coach, Tyndall was fired as the Vols’ head man so that UT wouldn’t suffer from any of the sanctions that were about to be handed down from the NCAA. Tyndall ended up getting a 10-year show cause from the NCAA, effectively ending any sort of collegiate coaching career for him in the future. Meanwhile, Tennessee was having to make its third head coaching hire in basketball in three years. For a program that had reached new heights just five years prior, it seemed almost unfathomable that Tennessee had fallen to this point. Dave Hart lucked out and had his next hire gift-wrapped for him, though. 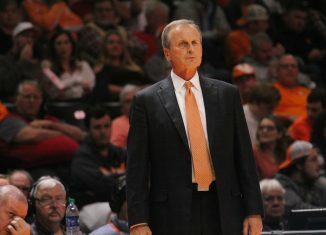 Texas decided to part ways with long-time head coach Rick Barnes, and Hart wasted little time in making Barnes an offer. 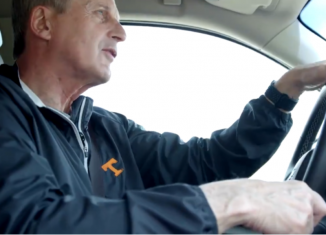 Barnes ultimately accepted, and he was tasked with taking a depleted roster from a 16-16 basketball team and rebuilding them from the ground up. It didn’t go well in Barnes’ first two seasons. 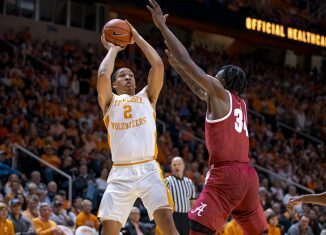 The Vols went 15-19 in Barnes’ first year as head coach, but things were looking a little better in his second season thanks to the emergence of Kevin Punter as one of the to scorers in the SEC. But then Punter suffered a season-ending injury, and the Vols stumbled to a 16-16 record in the 2016-17 season. Heading into Barnes’ third season, the Vols were picked to finish 13th out of 14 teams in the SEC by the media at SEC Media Day. Excitement for Tennessee basketball was at the lowest point it had been since the Wade Houston era in the 1990s. But that’s when things finally started to turn around for the Vols. 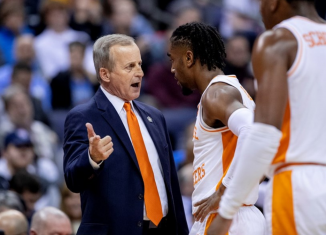 Tennessee put together one of the more surprising basketball seasons in recent memory during Barnes’ third year at the helm. The Vols won a share of the regular season conference title, swept Kentucky in the regular season, made it to the SEC Tournament Final, and earned a No. 3 seed in the NCAA Tournament. 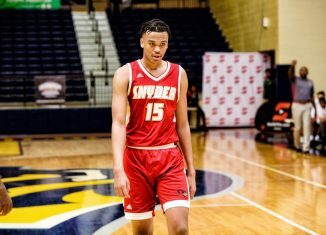 And if not for an untimely injury to starting center Kyle Alexander before the Vols’ second round game against Loyola-Chicago, Tennessee might’ve made another deep tournament run. 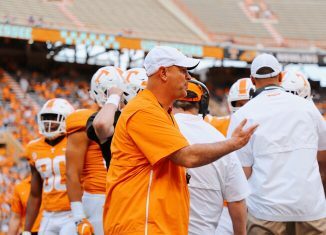 This season saw the Vols picked to finish second in the SEC before the season began, and they began the year just outside the top five in the preseason AP Poll. Hopes and expectations were high for Barnes’ fourth Tennessee team, but so far they’ve even exceeded those. Tennessee is 16-1 on the year, tying the best start to a season in program history since UT joined the SEC in 1931. The 2007-08 team and 2000-01 team both started the year 16-1 as well. This Tennessee team is also currently on a 12-game winning streak, tied for the fourth-longest streak in school history. 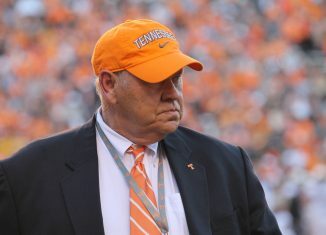 When you realize Tennessee is just five years removed from the “Bring Back Bruce” petition, only four years removed from hiring their third head coach in three years, only three years removed from finishing 15-19 overall, and only a year and a half removed from being picked second-to-last in the SEC, it’s almost unbelievable that the Vols are where they are now. And on top of all that, Tennessee has earned this No. 1 ranking this season without a single top-100 overall player on their roster. That’s essentially unheard-of in today’s world of college basketball. Vol fans have suffered through a lot over the last decade in just about every sport. 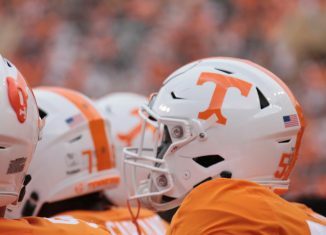 Football has been more or less a disaster over the last 11 years, the Lady Vols have fallen very from from grace after their national title in 2008, and UT’s baseball team has mostly been irrelevant over the last decade. Tennessee’s men’s basketball team is no exception in that time frame, either. Prior to last season, the Vols had just two NCAA Tournament appearances in the previous six years. Now, though, the Vols are No. 1 in the country, and it’s unanimous. Tennessee is No. 1 in the AP Poll and No. 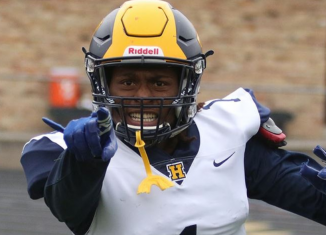 1 in the Coaches Poll. 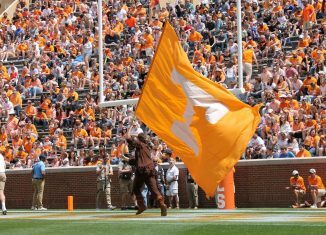 The Vols received 48 of the 64 first-place votes in the AP Poll and a whopping 30 of the 32 first-place votes in the Coaches Poll. To truly appreciate what it means to be No. 1 for Tennessee, you have to reflect back on how they got here. And Tennessee’s journey to No. 1 was as unforeseen as anything in college sports.